UPVC damages can greatly inconvenience an individual. It is worth noting that UPVC may be damaged in various ways. Some of these damages include dents, stains and cracks among others. We at Elite Local Locksmith Wigan can restore your UPV to new. Moreover, our experts have the ability to restore the wood grain of UPVC thus making it indistinguishable from the original UPVC .Elite Local Locksmith Wigan has undertaken numerous UPVC repairs which include widow, door and conservatories repairs among others. Besides restoring the UPVC, we will polish it. Before undertaking repairs, our experts will assess the damage done to the UPVC. This is due to the fact that in some instances, UPNVC replacements may be necessary. We are guaranteed to advise you, based on the amount of damage done to the UPVC. After assessing, the damage, we will then provide a quotation for the replacement or repairs. We carry out UPVC repairs within a short time .This is attributed to the fact that we acknowledge that the repairs or replacements can greatly inconvenience the individual. Consequently, we strive to ensure fewer inconveniences on the part of the individual. 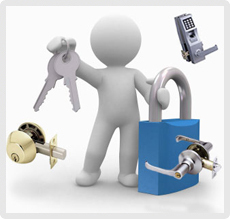 Over the year, Elite Local Locksmith Wigan has maintained a large client base. This is due to the fact that we uphold high standards of professionalism. We provide UPVC repairs to various types of businesses ranging from small companies to large companies. If you have UPVC damages, contact us as quickly as possible. UPVC damages affect the watertight quality of doors, conservatories or windows. Secondly, these damages may worsen with time thus leading to UPVC replacements. UPVC repairs are more common than UPVC replacements. This can be attributed to a number of factors .For starters, carrying out UPVC repairs is cheaper as compared to UPVC replacements. Secondly, carrying out repairs saves a lot of time. Thirdly, UPVC repairs are less likely to inconvenience the owner of the house as compare to UPVC replacements. There are different types of UPVC .However it is worth noting that our experts can deal with all kinds of UPVC repairs and replacements. We will also answer any questions that you may have about your UPVC repairs or replacements. This ensures that you are aware of the whole process of repairs or replacements. With our experience and knowledge, you will be served by the best technicians in the field. Our UPVC repairs are bound to be effective for a long time. If you are in need of any UPVC repairs or replacements, contact us through our hotline. One is then required to fill a damage assessment form. Our technicians will then be dispatched to your house and help you. Elite Local Locksmith Wigan remains committed to the continued provision of reliable UPVC repairs.